Boris Johnson reportedly said he had “become more and more convinced that there is method in his madness"
This June 5, 2018, photo shows Foreign Secretary Boris Johnson in London, England. Britain's foreign secretary suggested a Trump-style approach might achieve more in Brexit talks than what the U.K. government is currently doing, according to an audio recording obtained by BuzzFeed News. 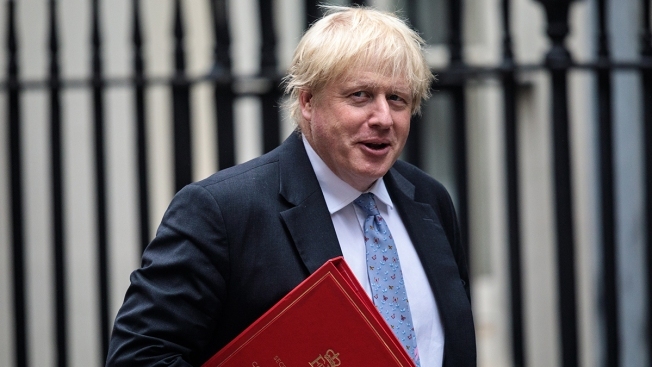 As NBC News reported, Boris Johnson warned a private dinner of supporters of his Conservative party in London on Wednesday night that negotiations with Brussels were heading toward a “meltdown,” according to the leaked audio. He said Brexit supporters risked getting a far worse deal than they had expected.